Orange County, VA – Orange County will host the 4TH annual Quad-County Business Summit on October 2, 2019 at Madison at the Mill, located at 323 N Madison Rd, Orange, VA 22960. Orange County Economic Development is working in collaboration with the Orange Chamber of Commerce, Central Virginia Small Business Development Center and peer organizations in Fluvanna County, Greene County, and Louisa County. 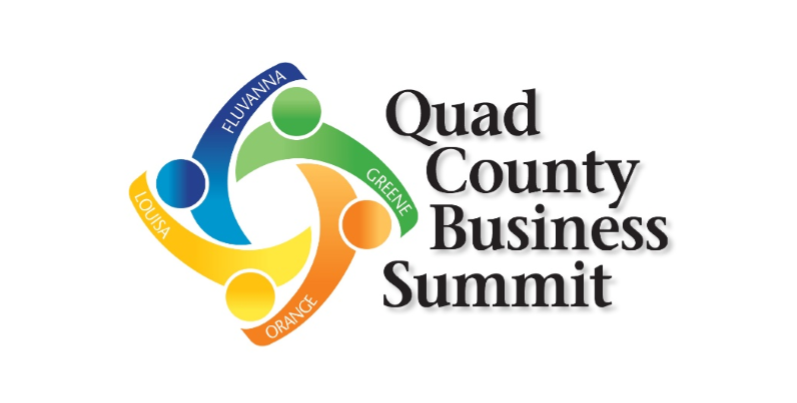 The Summit is intended to bring together businesses from the four- county region for a half-day of networking and educational programs, with various speakers covering a vast range of topics. The event is FREE to attend. Sponsorship opportunities are available! Please save the date, October 2nd, 2019 to attend this event. More information and registration will follow in the coming months. Please contact Rose Deal, Project Manager at (540) 672-1238 for more information.